Transportation & congestion. My poor yet righteous theme for the first six months of blog entries has reached a critical point. My frame of reference is larger and my experience is much richer. 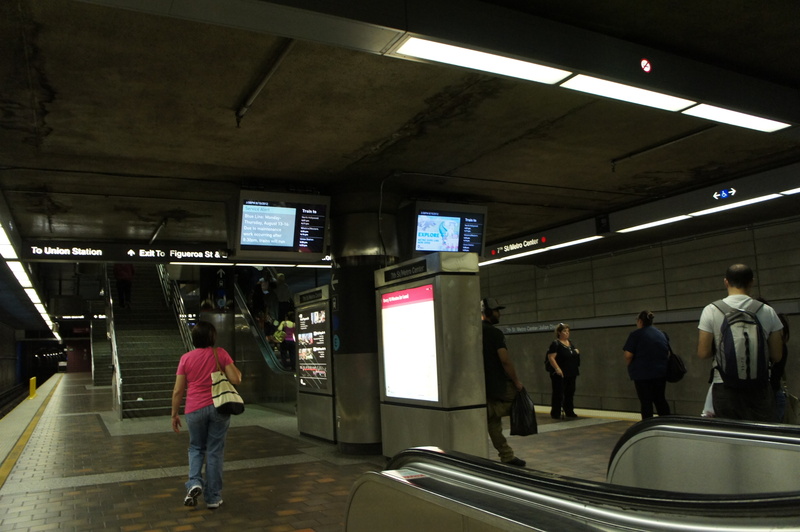 The City of Angels has presented a solution that most people are unaware of or would probably never try – and her name is The Subway. So, I took it upon myself to move a step away from my comfort zone to begin traveling underground. I say that I moved one step away (really more like a half-step) because — the route I travel isn’t too challenging. I don’t ride multiple trains and I live close to a subway station. I know, it’s not exactly as gut wrenching as many other people who travel for dozens of miles, but I have a car with air conditioning (currently available for sub-leasing, 6 days a week) — so it’s still a noble endeavor. Giving up your car in Los Angeles is like watching Laverne with no Shirley. Just can’t do it. The last time I used public transportation in Los Angeles was 27 years ago. What I recall from that experience was broken down people movers that never ran on time. Every bus seemed to have someone sitting in the back, prosthelytizing about the last days on earth (I’m glad they’ve been wrong all these years later). the extent of bus pass sophistication. You had to show the bus driver. Really, just show it to the bus driver. Not anymore. 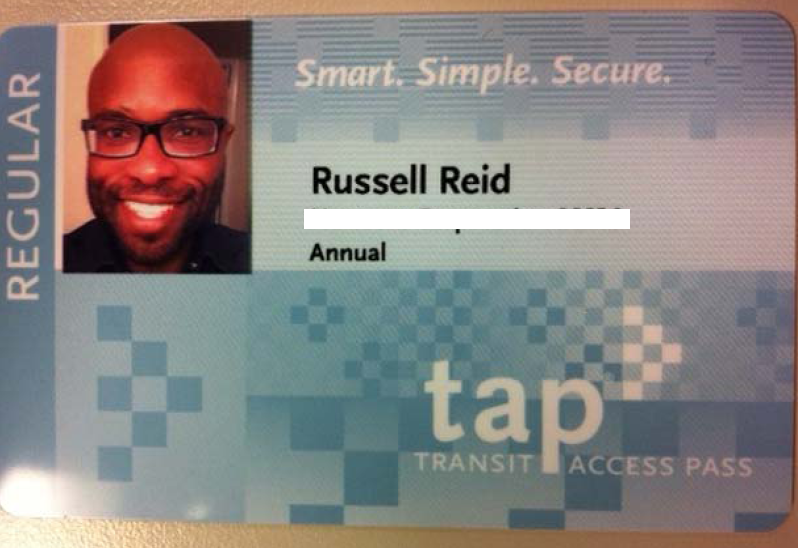 In 2012, bus passes look more like credit cards with a magnetic strip. 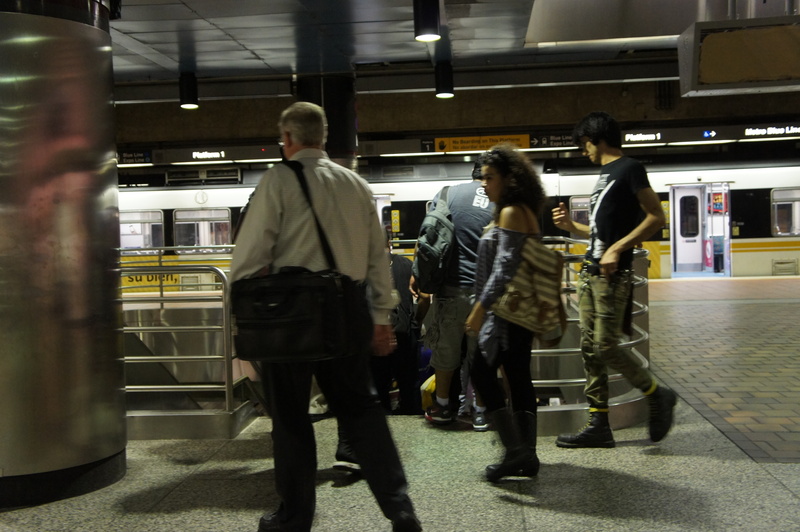 New York will always be considered the Grand Puba when it comes to public transportation on a massive scale. Millions of people a day and thousands of operators moving every-which-way underground by necessity — successfully. Will that be Los Angeles one day? Hell no, but – BUT – at least we‘ve opened the door to that possibility. 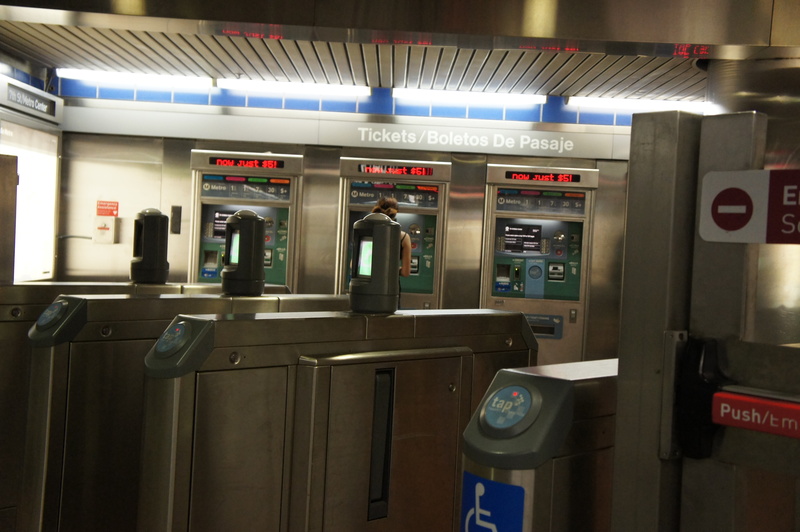 My first day was interesting – not knowing that my Tap Metro Card needs to be tapped on the turnstile and getting on the wrong train headed in the wrong direction. I imagine I wasn’t the first person who didn’t ask questions. Every station has a different theme – kinda cool. Clean subway cars with little graffiti, I certainly didn’t expect that. Word on the subway is – eating will get you a $160 ticket (yes, where there’s a way, there’s another revenue opportunity). Choosing to skip the $1.50 fare one way, can draw you a $200 ticket. Not a smart gamble, but I see at least one person a week pay the consequence for being cheap. I didn’t know what to expect when I headed down the stairs for the first time – part of me was hoping to see a futuristic, Japanese inspired creation – bullet trains that look like something from the Jetsons cartoon. No go. The model of a typical subway hasn’t changed much over the last 100 years. If it’s not broken, why update it? It probably would have been cool to let Steve Jobs design a subway station. Moving on – on time. Yes, you don’t think about time, or at least I never thought about it until I began to maximize it. You escape all traffic hurdles underground. No pot holes, no stoplights, no text messaging close calls. All smooth, all the time. A train arrives every 7 minutes during peak hours. Imagine knowing what time you’re going to leave a spot, travel across town – and arrive to the exact minute you expected to? Come on now, that’s a little a taste of heaving right there. You also get to people watch, which is damn cool. A kid dancing using the reflection of the glass, in his own world – in front of a full subway car | a woman who sleeps every morning and wakes up at the last stop to go to work | Me, always standing and always listening to music or reading, holding a small lunch bag | A Yoga devotee always carrying her mat in the morning | a guy always wearing sunglasses – underground. My travel just became easier and I am a fan of that. Dodger games are a breeze to attend, but more importantly, I’m blessed with less stress. A movie in Hollywood? 13 minutes. Going to North Hollywood? Don’t go around the canyon, go under it. Long Beach? I’m there. It’s all too easy now. I wish I had something bad to say but I don’t. Gas prices be damned, this is an experience of the sacred. Best of all — I get to listen to My Favorite Things by John Coltrane – all 17:36 –uninterrupted & walk way more than I ever did before. When the song ends, I have reached my destination. Yup, my new way to get around.